I’ve recently passed my AWS Certified Solutions Architect – Associate exam. In this blog I would like to share some preparation tips that would help you ace it. You want more guidance? Qwiklabs developed a set of labs that specifically designed to help you prepare for this exam. For a small price, you can complete exercises without even requiring an AWS account or signing up for Free Tier. AWS developed a freecself-paced Cloud Practitioner Essential course, to help you develop an overall understanding of the AWS Cloud. You will learn basic cloud concepts and AWS services, security, architecture, pricing, and support. There is also a YouTube channel with free introductory videos and other noteworthy material. Exam sample questions can help you check your knowledge and highlight areas requiring more study. Remember, the best preparation for the exam is practical experience: AWS recommend 1+ years of hands-on experience with their technologies. When you’re ready, go ahead and schedule an exam here. Leron, thank you so much for talking to my students. We had a great session and everybody was feeling very energised afterwards. It always helps students to interact with industry practitioners and you did a fantastic job inspiring the class. I will be teaching this class next semester, too. Let’s keep in touch and see if you will be available to do a similar session with the next cohort. Again, thank you very much for your time – I wish we could have more time available to talk! The difference between Leron and anyone else that has ever asked for advice is his willingness to learn and take on board as much knowledge as possible and then apply it. In a few short years, not only was Leron able to complete his MSc, but he landed a job (while turning down other offers), spoke at events, and wrote a book. Achieving more in 3 years than most people do in 10. So, the roles are now reversed. I needed to catch up with Leron and pick his brains about his journey and see what I could learn from him. I recently had the pleasure to help organise and host PhD students from Royal Holloway, University of London (RHUL), who spent a day at my company interacting with the team in order to gain industry insights. This day-long event included presentations by the students, their lecturers, our partners and consultants. During one of these presentations, I shared some of my own experiences as an information security consultant, in which I talked about my role and area of expertise. I also discussed current security challenges and provided some career advice. Several round table discussions provided everybody with much needed food for thought. We covered topics like security monitoring, threat intelligence, information protection in digital health and the role of the C-suite. We received positive responses from the professors – the students enjoyed the presentations and learned a lot from the interactions during the day. We discussed improving team productivity previously. I received a few comments regarding this topic, which I decided to address here. I would like to cover the question of developing your team members through coaching. I remember attending a workshop once, where the participants were divided into two teams and were presented with a rather peculiar exercise. 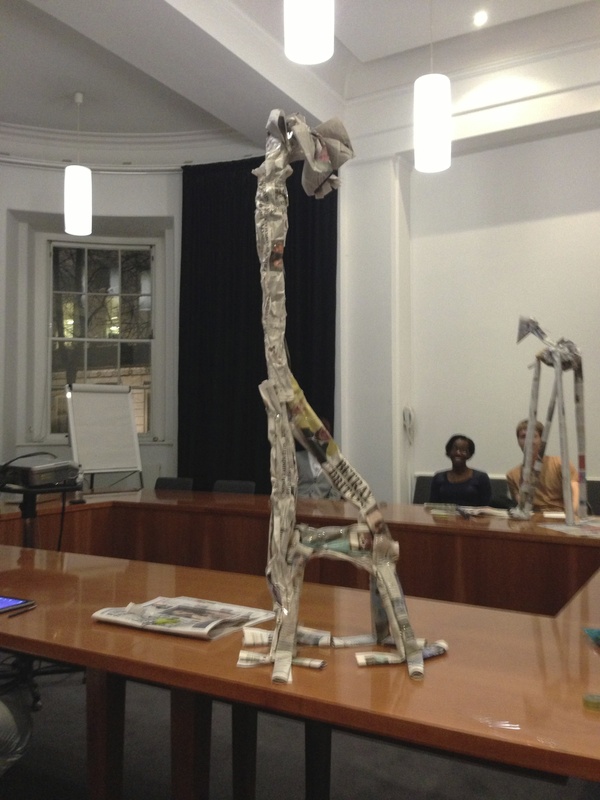 The facilitator announced that the goal of this competition was to use newspaper and tape to construct a giraffe. The teams would be judged on the height of the animal: the team who will manage to build the tallest one wins. There are many variations of this exercise, but they all boil down to the same principle. The real aim is to understand how people work together. How they plan, assign roles and responsibilities, execute the task, etc. In the end, everyone had a chance to discuss the experience. Participants were also presented with feedback on their performance. But can people’s performance be improved? And if yes, what could have been done in order to achieve positive and lasting change? The answer to these questions can be found in coaching. Coaching is all about engaging people in an authentic way. There might be different opinions on the same problem, which doesn’t necessarily mean that there is only one universal truth. How much do you appreciate and respect what other people think? What is happening in your life and career? 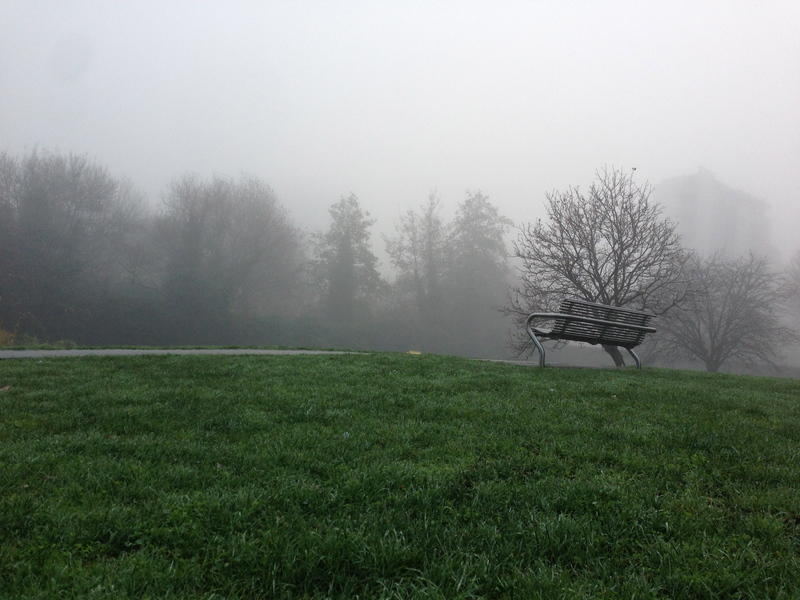 What do you need to do to get there? What is the first step you would take today? The last thought I would like to mention here is about giving people time to reflect. Some silent and alone time can yield unexpected results. Our brain is bombarded with enormous amounts of information on a daily basis. Finding time to quiet your mind and slow down can help you to listen to your inner voice of intuition. This can help you come up with innovative solutions to seemingly unsolvable problems.